Soooo. By now you know of my love for all things Mexican. Does it really surprise you when I put up another Mexican food post? I thought not. Would you believe that sometimes I am not in the mood to cook. Sometimes I am simply in the mood to eat. That, my friends, is when Mexi steps in. He's pretty good at sensing it, too...sometimes he's not, but I think those are times when he's actively trying not to sense it cuz he's not in the mood for cooking, either...but when the stars align just right, he starts cooking without warning. Last weekend was one of those times. Now, about six months ago when our friends returned from their twice a year pilgrimage to Mexico jerks, they never take me, they brought us back a press...for making sopes, gorditas and such fine, not that big of jerks. It actually sat in the kitchen being shuffled from side to side for the longest. You know how something can be right in your face, but almost invisible at the same time because you've looked through it so many times? Well. Mexi's usually the one to make the sopes & gorditas he fake-whines, but it's sort of his thing. The thicker-masa projects, not the whining. He's used to just rolling up the balls of dough and patting them out by hand...but something must have reminded him that we had that press, because before I knew it, he was turning out sopes like it was nobody's business- muy rapido! 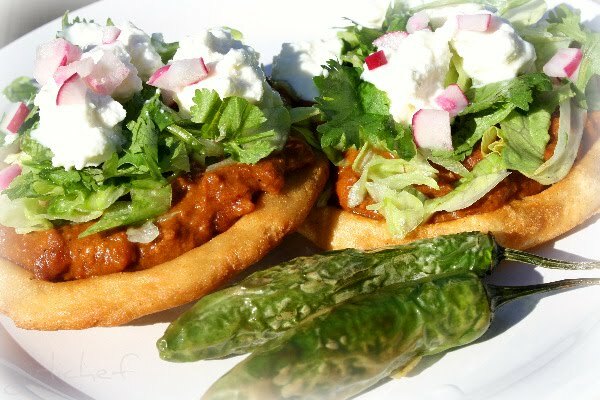 In some areas of Mexico, sopes are made as small as a haf-dollar and eaten more as antojitos (appetizers or small snacks)...in others they're made a bit larger, so that sitting down and eating 3 constitutes a nice meal. If you go any bigger than, oh...say...3 inches...in diameter, you're looking at something different altogether. There are many different shapes and sizes of masa shells...thick, thin, crunchy, soft...sopes are crisp on the outside when you bite into them (from a quick dip in hot oil), but warm and toothsome on the inside...plus, they're topped with all kinds of delicious toppings...it's a flavor, texture, temperature explosion! Commence eyeballs rolling back into your head and extreme shudder of pleasure. In a large bowl, mix both flours and water together with your clean hands. Mixture should just hold together, but not be too sticky or too crumbly. If too sticky, add just a sprinkling more masa and mix in. If too crumbly, add just a sprinkling more water and mix in. Form into a ball and set aside to rest, covered with a slightly damp kitchen towel for a few minutes. Set a heavy skillet (we use a cast-iron comal) over medium-high heat and let it get hot. On another burner, place a larger skillet w/ ~2" sides for frying...yes, you have to fry these. Fill it with oil to about 1/2" depth. Divide your dough into 14 even pieces (more if you want smaller, antojito-sized sopes). At this point, you can form all of the disks at once, to streamline the process...or press as you go, whatever you find works best for you. If you're fortunate enough to have a press (different from a tortilla press...it has an indentation, or well to allow for thicker disks), cut a large baggie in half, place the dough balls between and press. If you do not have a press, form the dough into a disk between your palms and fingers. You should end up with a disk of dough ~1/8-1/4" in thickness. Place the disks onto the blazing hot comal and toast until they start to turn golden on the first side. Carefully flip it over and repeat on the other side...probably about a couple of minutes each. Set aside on a large plate or tray until all the dough is toasted. At this point you should turn on the heat under your oil (you want it to get to about 375 degrees F). Working carefully, pinch together the outsides of the toasted disks to make a ridge...this will expose some of the inner, uncooked dough. Check out Mexi's expert work below. Repeat until all the sopes are formed. Okay, once all of your edges are pinched, it's time to give 'em a quick dip in some hot oil to finish them off! Make sure the oil is at 375 degrees F. If the oil's not hot enough, the dough will just taste greasy and gross...and it won't crisp up. So, since your oil is hot enough, using tongs or a slotted spoon, lower a couple of disks into the hot oil (however many will fit without crowding...don't let 'em touch) and fry until deep, golden yellow, turning to get top side as well. This will crisp up the outsides and give them an awesome crunch and also finish cooking the dough on the inside. Remove to paper towel-lined plate or tray. 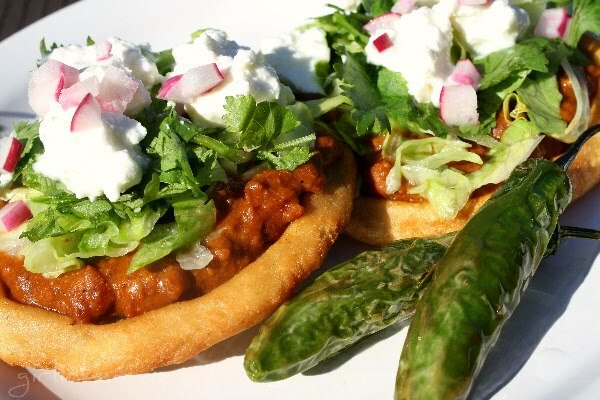 Depending on the region in Mexico you are in, sopes are topped with anything from simply beans and shredded meat to cactus strips and crisp veggies or cheese. Use what you have...use what is in season. My all-time favorite topping is a warm chorizo & bean topping with salsa, crisp lettuce, cilantro, crema & crumbled queso fresco. But I'll eat whatever we happen to have at the time. To make the chorizo/bean mixture, fry up some fresh chorizo, drain the grease then add cooked pinto beans to it and smoosh them all together with a potato masher until smooth. Must try one day!! Thank you for sharing! Antojitos? Did you just call my name? I'll bring homemade chorizo! Yummy. I'm jealous of the press, and the cooking hub, frankly. Why have I never had sopas before? They look like mini fried pizzas. Topped with heaven. You are so dead on in describing how delicious sopes taste, love the description. You know I never use my press to make sopes, I've been doing it the hard way. My husband, who is American, loves sopes. The first time I made them for him he couldn't believe how good they were. Gracias for the tip & great photos. I would eat these sopas for breakfast if I had a plate right now. They will be perfect with a light salad this week when the temperature is supposed to reach 100. I've never had this before! It's like a Mexican pizza, looks and sounds amazing! I have only had sopas a couple of times but I loved them. 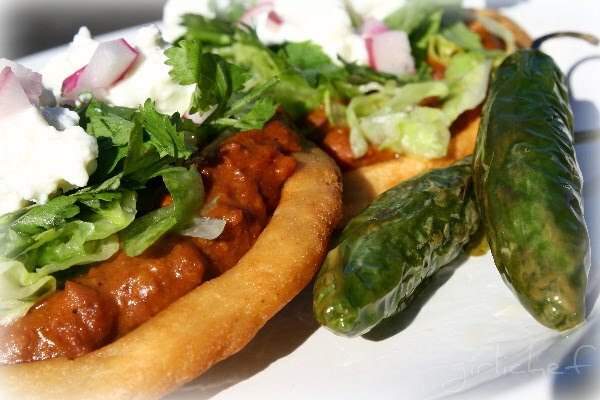 These look delicious--loving that chorizo bean topping too! Slurp. These looks so awesome ... pizza + Mexican = get in my belly. 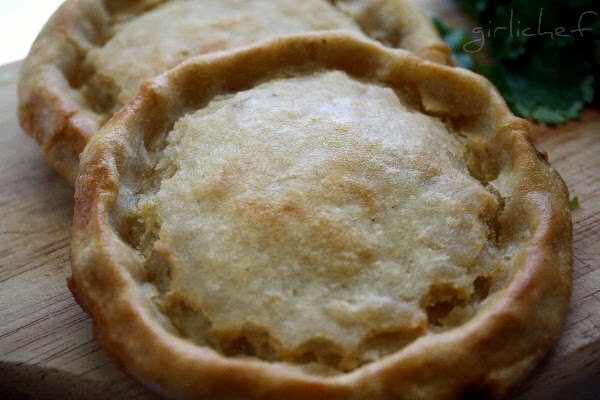 Your killing me- cause I have not been in the mood to cook outside of work, and with hubby gone so much, I am eating very very light- these were one of hubby's favorites back in Dallas when I catered weddings, so fun to fill with so many good things, but I had to cook, he does not cook, lol! I absolutly LOVE sopes!!!! I've been craving them resently. I think I need to go make a batch! Have you ever toped them with mole? So delicous!!! A food stand on the corner of my neighborhood sells these and I love them! So excited to try to make it for myself.